Why would I need self storage in Novato, CA? There are a variety of reasons why you might need self-storage in Novato, CA. How much is a storage unit in Novato, CA? The cheapest storage unit in Novato, CA is $98.00 per month. What size storage units do you have available in Novato, CA? In Novato, CA we have sizes that range from 4'x5' to 10'x30' to suit your storage needs. How much is it for a 4'x5' storage unit in Novato, CA? The cheapest 4'x5' storage unit in Novato, CA is $105.00 per month. Novato is a growing city located on the northern edge of California's Marin County. Situated in the San Francisco Bay Area, Novato offers a range of attractions and amenities for residents, as well as easy access to the many amenities of San Francisco. With about a dozen distinct neighborhoods, the city is a diverse community with residents who consistently report an excellent quality of life. You can always drive to nearby San Francisco for shopping, dining and entertainment, but there's no shortage of things to do within Novato's city limits. Downtown Novato offers boutique shopping, antique stores, fine dining and special treats, like the handmade ice cream from La Michoacana or Powell's Sweet Shoppe. You can also see the landmark city hall, originally established in the late 1800s as a local church. If you have children, you can visit the playground and horseshoe pits at Miwok Park or explore the Space Station Museum. Pioneer Park offers plenty of walking trails to explore and also hosts outdoor movie showings. Local wineries and cheese factories provide fun destinations for foodies, and the Marin Museum of Contemporary Art is a popular arts and culture spot. 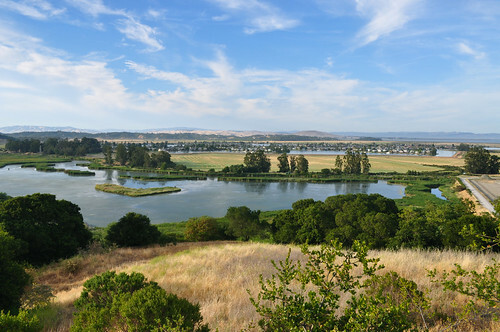 Whether you're interested in history, the outdoors, art, shopping or dining, you can find a number of options in Novato. It's not uncommon for many Novato residents to commute to San Francisco for work, but the hometown economy also offers plenty of opportunities. Several biotech firms and the Buck Institute for Research on Aging call the city home, as do several small technology companies, like Radiant Logic and Toys for Bob. Sony Pictures Imageworks, The Republic of Tea and Birkenstock Distribution have large operations in the city, providing a number of jobs for locals. If you're hoping to find a job in Novato, you might want to consider starting with the city's largest employers: the Novato Unified School District, BioMarin Pharmaceutical and 2K Visual Concepts. The Novato Unified School District manages the city's public elementary, middle and high schools. Novato Charter School is a large campus that serves kindergarten through eighth-grade students. There are also a few private faith-based schools in the area. Utilities: The North Marin Water District manages residential water services in Novato. Marin Clean Energy and Pacific Gas and Electric are the city's central energy providers. Garbage and Recycling: Your trash, recyclables and organic waste will be collected curbside on a regular basis. Transportation: Marin Transit facilitates the local transportation network, including bus and light rail. The company offers a short educational session to help you learn about the variety of transit options available. Like many Bay Area cities, Novato has a fairly high cost of living. Median home prices are well above the state and national averages but fairly reasonable when compared to prices in nearby San Francisco. You can choose from a variety of single-family homes and apartments in Novato, so it shouldn't be too difficult to find something to fit your needs. Our lowest priced units in Novato, CA average $101.50 per month. 125 people have reserved units in Novato, CA in the past 30 days. There are 2 locations within Novato, CA's city limits. There are 2 locations in Novato, CA that offer AC and Heating features.